Kelly Blue Book, the main source for car purchasing and pricing information in the United States, has released its quarterly survey of new car buyers. The study is non-scientific but considered authoritative. The top five list shows both a shakeup in the popularity of vehicles and the effects of negative press. Shoppers ranked durability and reliability, driving comfort, fuel efficiency, driving performance and safety as the top five important factors when shopping for a new vehicle. At this time last year, Toyota held the top position. 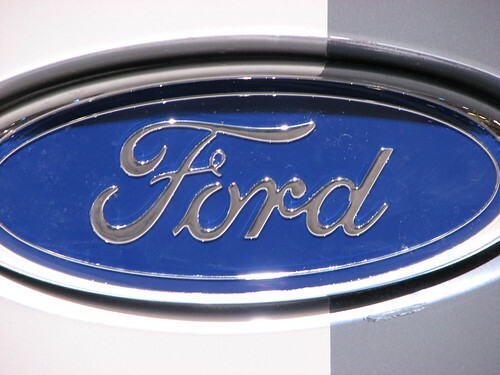 This quarter, the Kelly Blue Book survey shows that 29 percent of new car buyers are considering Ford vehicles. This matches up well with the estimation that truck sales will be increasing in the next one to two years. Toyota motors is showing the effects of numerous safety recalls over the last year. Even with those problems, though, 22 percent of car buyers are still considering a Toyota first. This strong showing is partially due to the high fuel efficiency of the vehicles. Analysts also point to the “Swagger Wagon” advertising campaign as particularly successful. Just behind Toyota, 21 percent of new car buyers are considering a Chevrolet vehicle. This could be attributed in part to the upcoming release of the Volt, though the hefty price tag is likely scaring just as many buyers away. Chevrolet’s reputation for safety is listed as the number one reason this brand made it to the top five list. With a reputation for fuel savings and reliability as well as a full offering of hybrid vehicles, Honda is doing well. Currently 20 percent of new car shoppers are considering making this American-built, Japanese-owned brand their newest set of wheels. Nissan used to be a reliable player in the top five list, but South Korea brand Hyundai has ousted it. Kelly Blue Book reports 13 percent of new car buyers are considering a Hyundai, most likely because of the average fuel efficiency of the brand.